TRANSFER FROM MARRAKECH TO N'KOB. Our private driver “Ourass Travels - private hiking in Morocco” will pick you from your hotel and we start 6 day trekking tour from Marrakech. We transfer you from Marrakech to N'kob. We spend the night in the cottage from Zaid to N'kob with a welcome tajine. Hours of walking: 5h30. The morning walks in the wadi to the village of Tiglit. You will have break at 1 pm under the palm trees with rest. 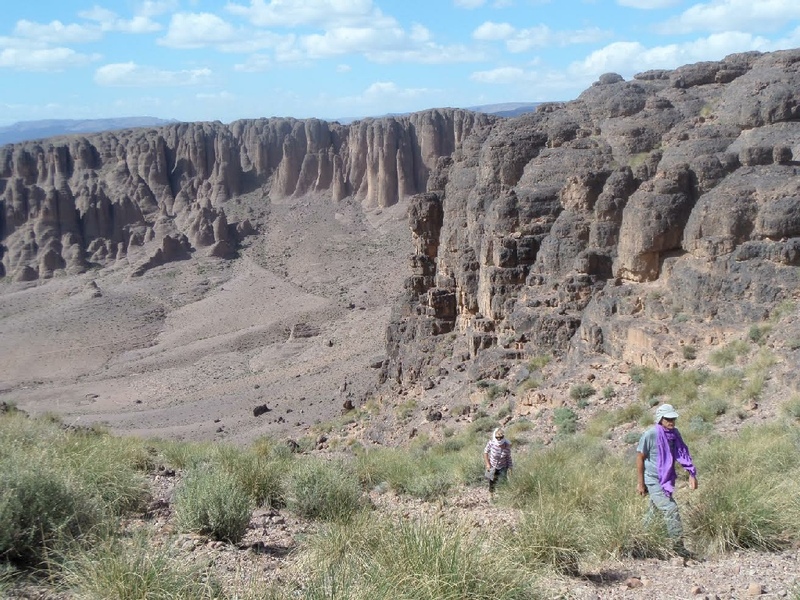 In the afternoon we continue in the wadi and climb into the canyon of Ioiraghn. Bivouac in Ighazun. Walking hours: 6 hours. In the morning we walk to the collar of Tblah through rocky peaks and fairy chimneys. Break at noon in the village of Igli. In the afternoon, walk on a plateau before climbing to the Ioiraghn pass at 1900m where we set up the bivouac in a corridor at the foot of basaltic cliffs. Walking hours: 5h30. En route to the summit of Kouaouch at 2599m. We climb on a mule track with a superb view over the whole massif. The climb is gradual. At midday, meal under the Berber tent of nomads Ait Atta. In the afternoon, after crossing a pass we bivouacons to Ifrd amid flocks of goats among the junipers. Walking hours: 5h. Descent along a mule track to the Brahim gîte in Tagilt. Meals and rest at the cottage. 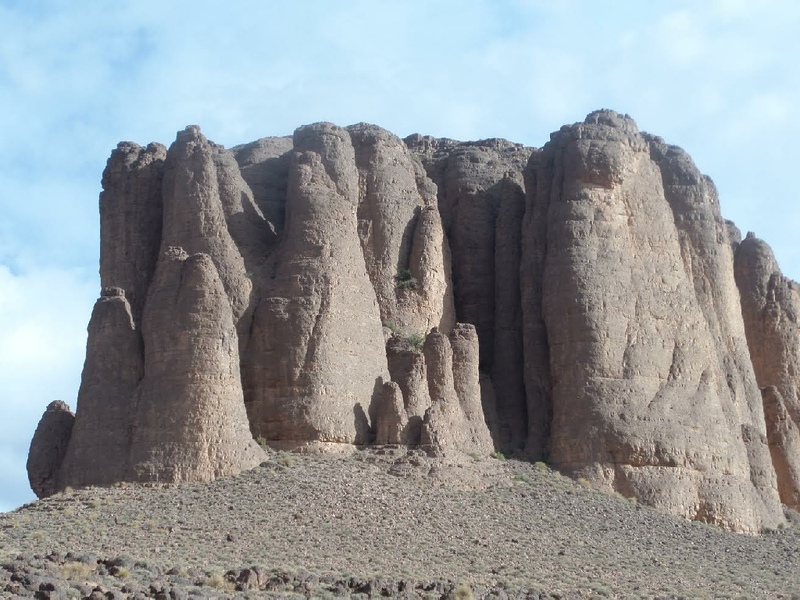 FROM RETURN FROM TAGDILT TO MARRAKECH WITH VISIT OF OUARZAZATE. Ourass Travels drop you off at your hotel in Marrakech. 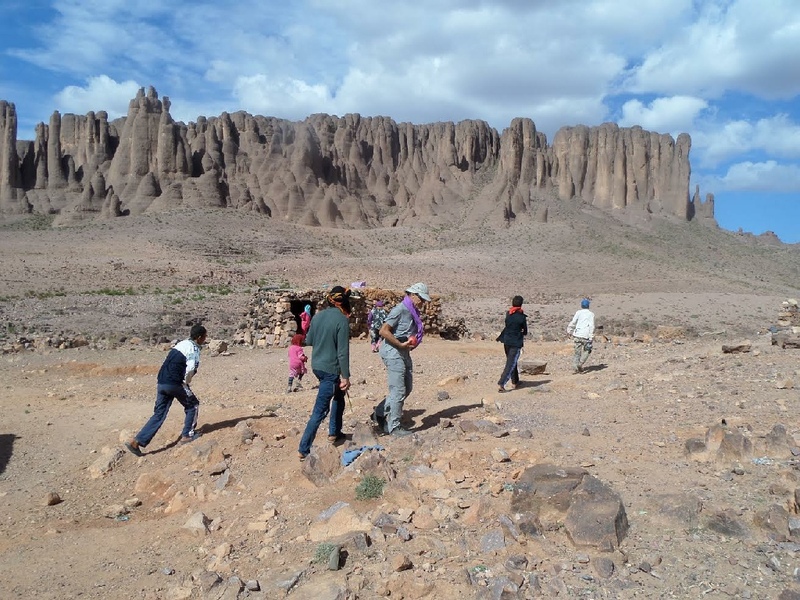 Morocco trekking tour with professional mountain guides is available every day during the whole year. 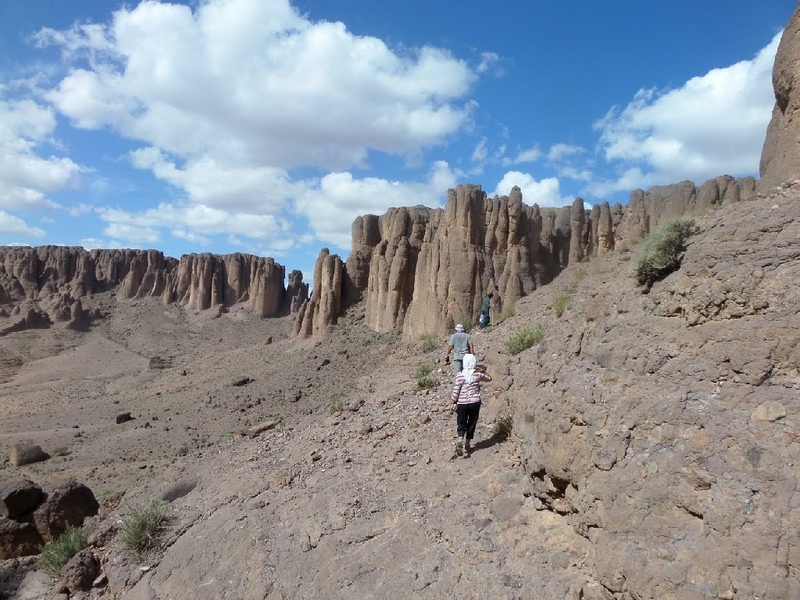 If you wish to create own Morocco trekking and hiking tour or modify our designed tour, do not hesitate to contact us. We have many years of experiences in tourism field.